Broadly speaking, it's accepted wisdom among progressive lawmakers - usually at both the state and federal levels - that the minimum wage ought to rise. However, while many advocate for the full increase to $15 per hour over the next few years, there remains some concern about what that might do to smaller businesses. Consequently, there seems to be a divide about just how much the federal minimum wage should rise, even among those who want an increase sooner than later, according to The Washington Post. 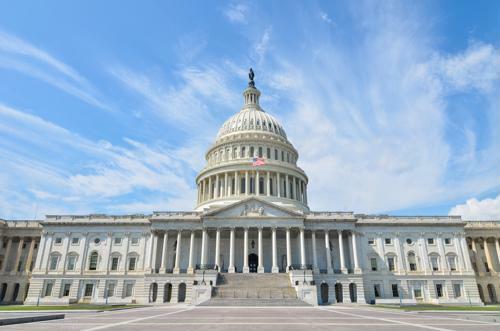 The good news for workers is most Democrats in the U.S. House of Representatives have chosen to openly support the Fight For $15's preferred increase - which would go into place by 2024 - but some lawmakers are concerned over the size of that increase. As such, it's unlikely the bill will pass in its current form. Instead, those who are wary of a sizable pay hike want a bill that would bump pay on a regional basis, rather than applying a one-size-fits-all standard. With that said, many labor organizers say regional increases is not the right approach simply because everyone deserves equal pay for equal work, and someone who puts in a full day of work at a factory in the southern U.S., for example, is no less deserving of the full $15 per hour than someone who does the same amount of factory work in the Northeast. At issue, it seems, is the fact that the federal minimum wage would more than double - from $7.25 to $15 per hour - in a period of just five years if this bill were to pass the House and Senate and subsequently signed into law, according to Politico. That, while unlikely in the first place, is the big point of concern for lawmakers from some states with weaker economies. However, those who sponsored the bill, as well as House leadership, don't believe a more piecemeal approach to increases makes sense. One talking point repeatedly brought up by those who support the single increase toward $15 is some regions would be left behind if increases start getting approved on a case-by-case basis, the report said. Even as lawmakers grapple over the internal machinations behind a legal increase to the federal minimum wage, they are also turning up the pressure on large corporations to do right by their lowest-paid employees, according to a separate Washington Post report. Rep. Katie Porter, a California Democrat, recently grilled JPMorgan Chase CEO Jamie Dimon on his company's $16.50 minimum wage, which still leaves workers in high-cost areas struggling to make ends meet even if they work 40 hours per week. In low-unemployment job markets, it's vital for companies to make sure their salary and benefits offerings are as strong as possible, to help them both attract and retain talent on an ongoing basis.